Team 'Last Minute' consisted of Charles Lucas, Evelyn Leong and Pacik Sarah. Prize given by President of Sabah Chess Association, Mr. Muammar Julkarnain (left). 2nd prize winner, Kara-Vian Dragon consisted of Ramlee Abd Rahim, Vianna Dennia Daniel and Al-Kamil Kamin. 3rd prize winner, Favourite Team consisted of Hosdi Soupin, Zizi Asri Saimin and Nov Genevia Pslam Yaakub. 5th place, team Experts consisted of Jasmin McMandy, Mohd Hamizan Abdullah and Mahimad Petrus. Best Government, team Mindakod Nuluhon consisted of Shahrin Abdullah, Mahiri Ruslin and Aileen Lojikim Beryl. Best IPT, team UiTM Sabah B consisted of Azeem Suhaimi Mohd Farhan, Noorsazilla Japrir @ Japri and Nur Ae-man Asman. Best High School, team Magic consisted of Datu Mohd Wafi Irfan Mohd Datu, Allif Azali and Mitchelle Alfred. Best Elementary School, team Ranau Junior consisted of Mohd Darwisy Zulhimat, Hargves Esquerro Elip Lipon and Nur Ain Durrani Zulhimat. Best Board 2, Junaidih Halil. Best Board 3, Evelyn Leong. 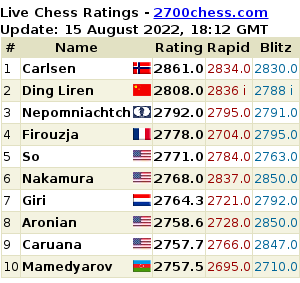 FINAL RANKING AFTER ROUND 7. Meanwhile in the AGM held on the same day, President's were thanked for the support of all chess players in Sabah. He hoped the support from teachers and parents continuing to grows the kids talent in chess. "Anyone who interested to contest the President's post at the next AGM meeting are most welcome", he added. Meanwhile, the Secretary (Yours Truly) Mr. Kamino Marino present the association's report on the year of 2017 and Chi Yin Phin (Treasurer) present the finance report of 2017. The meeting postponed and dismissed at 1.30pm.